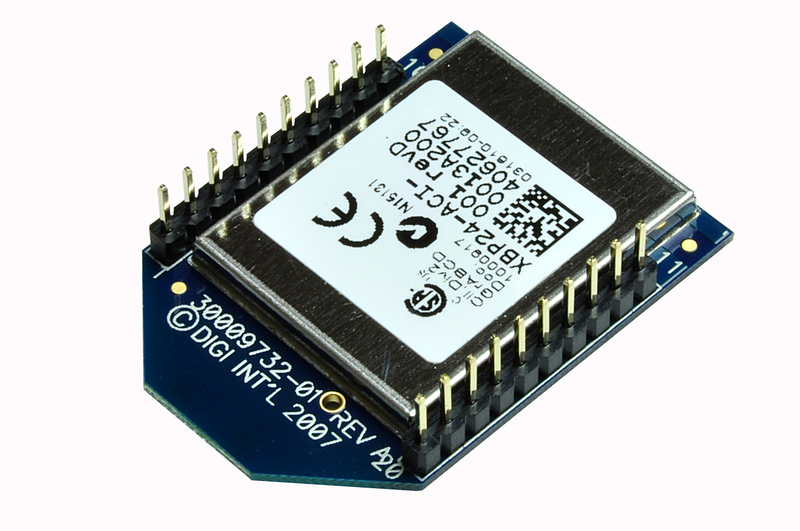 It is 2.4GHz 60mW (+18 dBm) XBee 802.15.4 module P/N: XBP24-ACI-001 from Digi International Inc. 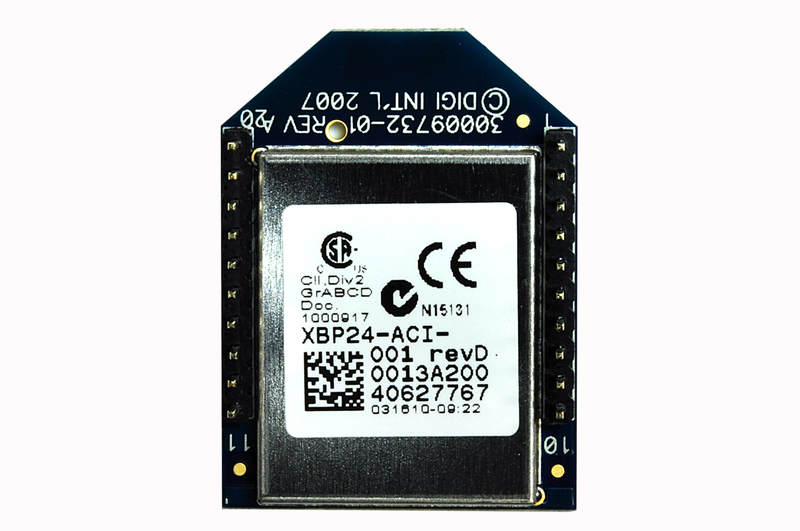 It can communicate up to 1 mi RF LOS range. It is the most simple way to communicate serial (UART) over secure wireless network. 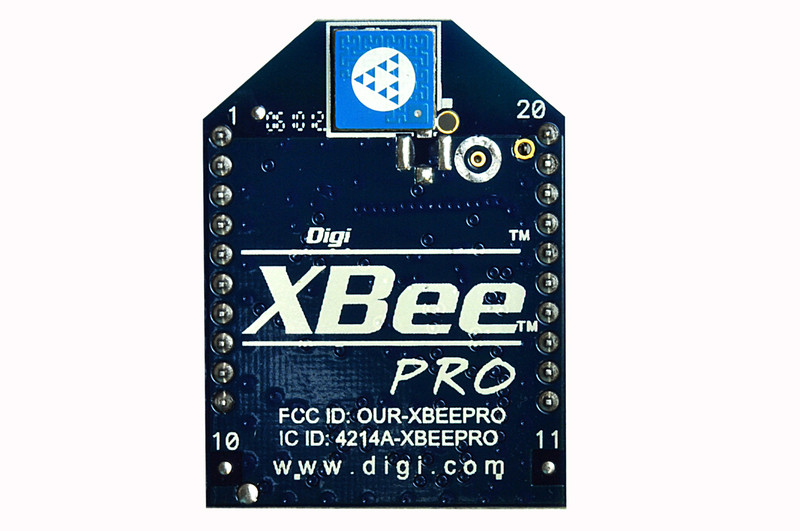 XBee multipoint RF modules are ideal for applications requiring low latency and predictable communication timing. 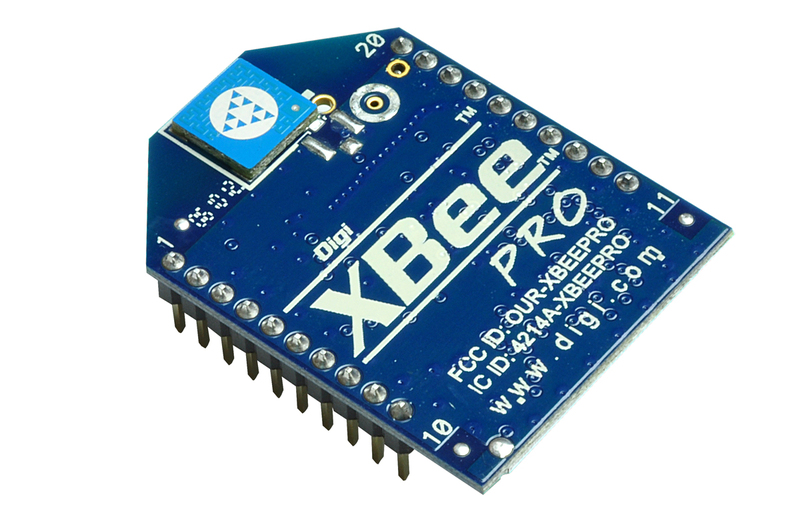 Providing quick, robust communication in point-to-point, peer-to-peer, and multipoint/star configurations, XBee multipoint products enable robust end-point connectivity with ease. Whether deployed as a pure cable replacement for simple serial communication, or as part of a more complex hub-and-spoke network of sensors, XBee multipoint RF modules maximize wireless performance and ease of development.